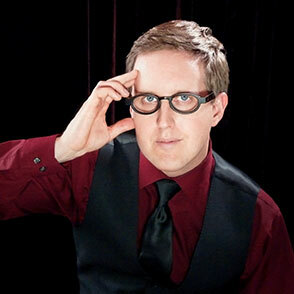 Carl Christman is the Las Vegas mentalist. He has performed at numerous private parties, trade shows, and corporate events throughout Las Vegas. Carl offers a unique blend of mind reading, magic, hypnosis and comedy to entertain your guests. Whether you are trying to attract clients in a busy convention or motivate employees at corporate meetings, Carl is ready. He offers stage shows that involve the entire audience as well as personalized psychic readings that are the perfect alternative for more intimate venues. These readings are fun, fascinating and uplifting. No matter what you are looking for, Carl’s mentalism and magic is sure to leave your guests buzzing.